What happens when tragedy occurs? When the unthinkable happens, both adults and children access their darkest fears and concerns about national, community and personal safety. Trauma is an emotional response to a terrible event and can be expressed in a variety of ways. Most kids are resilient and with validation of their feelings, opportunities for them to talk and be listened to, and reassurance that many people are working hard to ensure their safety (i.e. policemen, teachers, doctors, volunteers, parents and teachers) can resume previous levels of functioning. Other kids may display acute signs of anxiety such as excessive worry, school refusal, sleeplessness, nightmares, headaches, stomachaches, loss of interest in previous enjoyed activities, changes in relationships with peers and changes in school performance. It is also important to note that children may appear unhinged by trauma initially, but may demonstrate more delayed symptoms of anxiety after the exposure to the tragedy. When managing your child’s reaction to tragedy it is imperative for the parent to understand their own thoughts and feelings regarding the event. Getting any parental concerns and anxieties under wraps will be essential prior to managing any child anxieties and concerns. Children, by nature, are dependent and vulnerable and rely on their parents to exude a sense of control, protection and care. If a parent is highly reactive to their own anxieties, children can pick up on this and in turn will mirror their parent’s anxieties. If a parent is calm and objective the child can then have a solid sense that their parent is in control of the situation and give the child permission to feel safe and cared for. This provides outlets and opportunities for your child to express their feelings and insecurities. 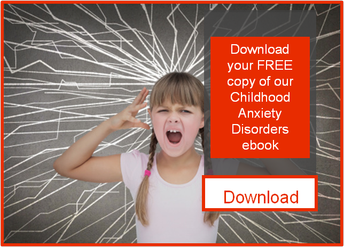 Brushing over their feelings of sadness, anger, fear, and anxiety with “don’t feel this way” and “don’t worry, it won’t ever happen to you” can prove invalidating and deny the child the opportunity to effectively process their responses. Acknowledging your child’s fears and concerns will help them process the event and encourage them to self-express. Limiting screen time to avoid continued media coverage regarding the event will help to reduce anxiety and re-traumatization. The most important part of dealing with trauma and tragedy is to process both you and your child’s interpretation of the event, not the actual facts and details (i.e. how many people died, who killed them, the severity of this national tragedy, how it compares to other national tragedies, etc.). Exploring with your child how they interpret the event and what they think has happened is more therapeutic than rehashing the gory details. Also, instead of initiating a conversation about what has happened to your child, ask your child what they think has gone on and work from there. Providing too much information that does not fit within their scope of understanding can prove to further confuse them and elicit anxiety. Uncontrollable tragedies occur and have the power to threaten our perceptions about our safety and understanding of our world around us. Providing a safe space to process the feelings that our children have is the best way to acknowledge the legitimacy of their concerns and regain a sense of normalcy.